The main store is located 300 meters from the beach and playground (click for map). 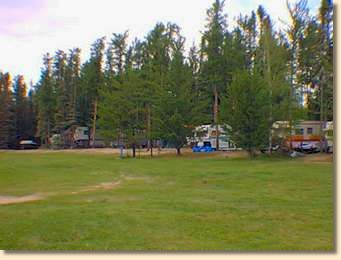 Adjacent to our business is a Provincially-owned Campground with Service Center that has 79 well maintained sites for RV's and Tenters. We have 8 Cabins to rent. Our cabins are located close to the store. They are classed as Non-Modern. That means that they do not have any running water in them. 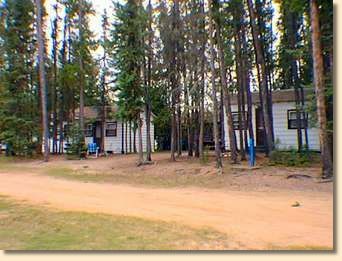 We do have a Washroom/Shower house building located in with our cabins. We also have outside water taps scattered throughout the cabin area. They contain : fridge, stove, heater, dishes, cooking utensils/pots/pans. A noteworthy point about our cabins is they are CLEAN. A fire pit and picnic table at each cabin will give you a place to have an easy outdoor meal like a wiener roast. We do not supply bedding. We do not head charge BUT we do not want unreasonable overcrowding. The cabins are very adequate for the intended number of guests. Pets are allowed in the cabins.